Posts tagged "Uncharted: Golden Abyss"
Bend Studio has released a new patch for Uncharted: Golden Abyss to add compatibility for their upcoming new title, Uncharted: Fight for Fortune. The 90 MB patch enables players to collect and unlock cards for use in the new game, while also increasing the frequency of bounty dropping after killing an enemy. SCE Bend Studios, developers of the successful Uncharted: Golden Abyss on the PS Vita are working on a new AAA title for the portable console, according to a job listing on Gamastura. The job listing says the team are looking for artistic talen to help them “create AAA content” for the PS Vita. If you are fed up of getting signed out of the PSN every time you play Uncharted: Golden Abyss? 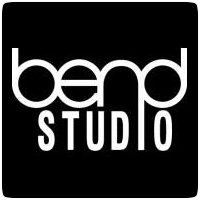 Lucky for you, Bend have fixed the issue and have released a patch today so you can remain signed-in to the PSN going forward. The decision to use “offline” mode was to apparently save battery power. Looks like the launch of the PS Vita in the UK was a success. Uncharted: Golden Abyss has taken the top spot in the UK Chart. In fact, there are a number of Vita games appearing in the top 20 list, including FIFA Football, Rayman Origins and WipEout 2048. A new patch for Uncharted: Golden Abyss is now available to download, ahead of the Wednesday launch in North America and Europe. The patch brings the game to version v1.01 and weights in at 71MB. The patch preps the game for some upcoming DLC content, in the shape of something called ‘Treasure Maps’. Following on from the PS Vita TV advert the other day, we now have the finished Uncharted: Golden Abyss TV to show you, ahead of the game’s launch next Wednesday. This will be screened over the coming weeks and months on TV but thought you would like to see a preview before it goes live. Uncharted: Golden Abyss on the PlayStation Vita features a ton of collectible – more than 300, in fact. The collectibles are tied to the Trophies that can be earned in the game, so you must collect them all if you want to get that platinum trophy. 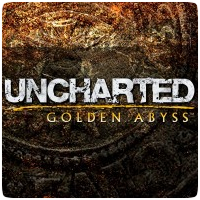 The complete Uncharted: Golden Abyss trophy list has been revealed. Check out some new gameplay footage of Uncharted: Golden Abyss on the PlayStation Vita. John Garvin, writer and director of the title, runs through two of the levels that were featured this week at the Tokyo Game Show. The video shows of some of the unique features of the game include the machette, balance beam controls and more.